Gay M. Crooks is a Professor in the Departments of Pathology & Laboratory Medicine and Pediatrics in the David Geffen School of Medicine, UCLA. She is Co-director of the Broad Stem Cell Research Center and Co-Director of the Cancer and Stem Cell Biology Program, Jonsson Comprehensive Cancer Center at UCLA. Dr Crooks graduated from medical school at the University of Western Australia and completed her FRACP (pediatrics) at Princess Margaret Hospital for Children prior to her fellowship training in Pediatric Hematology-Oncology at Childrens Hospital Los Angeles (CHLA). In 1993, she joined the faculty of the University of Southern California and established her laboratory and clinical programs in the Division of Research Immunology and Bone Marrow Transplantation at CHLA. 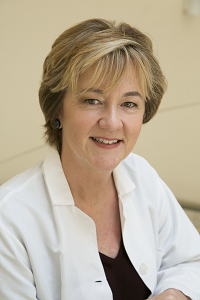 In 2009 her research program moved to UCLA, where in addition to running her research program, Dr. Crooks is a pediatric bone marrow transplant physician in the Division of Pediatric Hematology-Oncology at UCLA Mattel Children's Hospital.